There’s Thames Valley Flint gravel from just down the road to Indian Sandstone; Scottish pebbles to Italian porcelain paving, York stone products to F.S.C. approved landscaping bark. A multitude of other stunning choices could leave you wondering how you’ll ever reach a final decision. Speak to the experts at your local garden centre about the suitability of particular landscaping materials in your unique space. Porcelain paving is non-porous, so it has a natural home in damp positions; gravels provide excellent drainage and 20mm gravels offer greater grip underfoot and wheel in cold weather than the 10mm options. Play sand is available for children’s play areas so you can maximise safety. A low maintenance artificial turf may prove more viable for you than natural turf if children and pets are going to be scampering over it day after day. Specialists will also be able to recommend the best aggregates; sharp sand, type 1 or basalt, for example, and the most helpful ancillary products to save you maintenance work later. Installing gravel without a weed membrane can lead to additional weeding tasks; add a membrane with a discreetly designed gravel framework attached on paths and driveways to maximise tidiness and reduce maintenance. Installing top soil, rich with nutrients, before laying turf allows it to perform at its best. Imagine going to work on one grain of cereal, you’d feel very hard done by, and yet many of us expect turf to look resplendent without giving it the means to do so. A few clever steps at the outset means you spend more time admiring your exterior space, cool drink in hand, instead of making life chore filled. 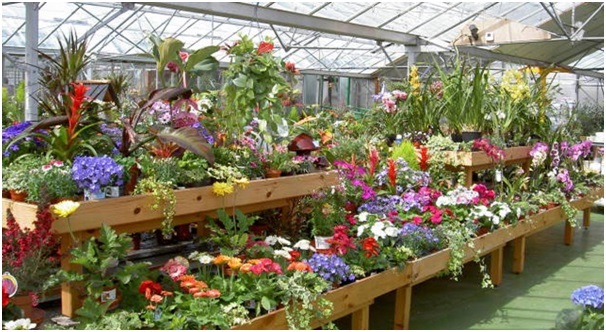 Delivery services are available from most local garden centres, or you can take the majority of items away at the time of purchase, offering you convenience and flexibility. Please check online or call in to your local Rivar Sand and Gravel outlet to learn more about the potential your garden has to offer. You’re only limited by your imagination so look forward to summer 2019 in a personalised space. Hare Hatch: At Ladds Garden Village, RG10 9SB; perfect for Wargrave and Twyford customers. Newbury: In the Wyevale Garden Centre, RG18 3AN. e.g. Donnington, Newbury customers. Tadley: In Greenacres Nursery, RG26 3AF. Near to Monk Sherborne and Aldermaston. Windlesham: Within Wyevale Garden Centre, GU20 6LL. Ideal for Ascot, Windsor or Camberley based landscapers.